When it comes to frozen foods, there aren’t a lot of options for me. All of the healthy foods have potatoes or rice in them and the frozen pizzas don’t have enough toppings or cheese. So, really I don’t put a lot of time and effort into the frozen meal section. Every once in a while, I walk around and check. You never know when things will change and something new will come out. I was very pleasantly surprised! 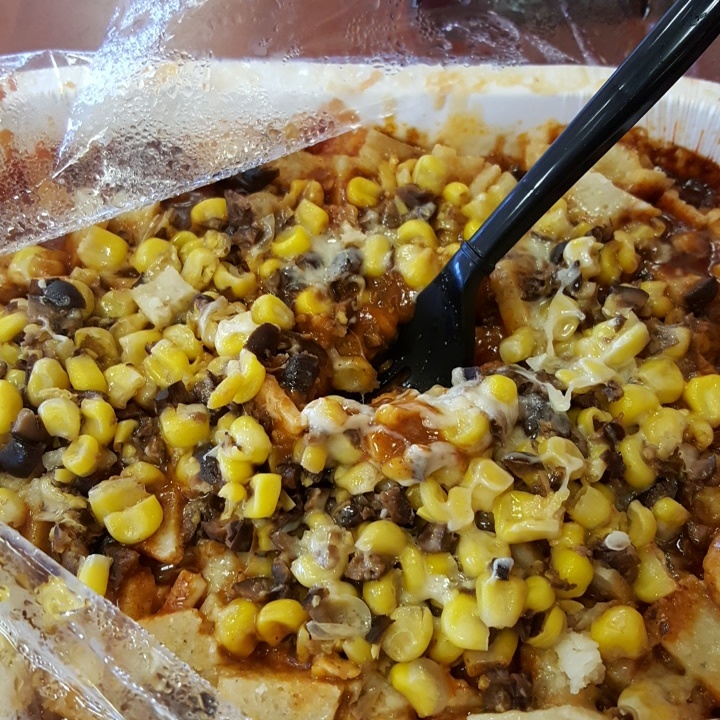 Amy’s Kitchen came out with a Mexican Casserole that i can actually eat! not only can I eat it, it’s amazing! I had one, a regular sized small one that was about $3.50. Today, I had the Family Sized casserole, which is about nine dollars. It’s twice as large and (if you eat in massive quantities, like I do) surprisingly filling. Usually I need a few things to eat in order to feel full. I’m the kind of person who puts away half a chicken at lunch and eats a pound of brisket at dinner. So, when I tell you this is filling, I hope you’ll understand the size of this dish. It is, after all, Family Sized. There are beans in it, so if your IBS won’t limits you from them you might want to skip over this one. Even if you pick them out, I think the sauce has a bean puree. There is also corn, so if you have Divo or your IBS won’t let you have that either, another reason to pass. There is also cheese, so lactose intolerant eaters beware.